Cambrils holidays transport you to the southern portion of the Costa Dorada. It is a pleasant resort that has developed from humble roots into a very popular holiday destination. Framed by mountains and with soft sandy beaches, with a guarantee of hot summer sun and a short flight time, it is no surprise that Cambrils is a very popular destination. Added to this combination of features is a relaxed ambience which makes cheap Cambrils holidays very appealing to families and couples. The holiday season lasts from April to October with temperatures rising from twenty to thirty degrees in the height of the summer. With low cost airlines flying from many regional airports, you can be sipping sangria and basking in glorious sunshine in next to no time. If you are looking for a beach holiday with soft sands then the 'gold coast' of Spain, and Cambrils in particular, is an ideal destination. Perfect for sand castles and other sculptures, with a shoreline that shelves gently into the warm, clear Mediterranean Sea providing safe conditions for paddlers and weak swimmers. Cheap Cambrils holidays are a much sought after commodity. Choose from Self Catering to All Inclusive holidays. Hotels and apartments provide a range of good accommodation with tariffs to suit most budgets. Cambril's fish restaurants are renowned for their quality, so be sure to have your share. The resort's many eateries cater for all tastes, no matter how fussy the eater. There is adequate provision of shops and there are two weekly markets where you can buy the usual gifts and souvenirs. Although there are some lively venues, Cambrils nightlife remains low key. Those who wish to party can visit its more gregarious neighbour, Salou. 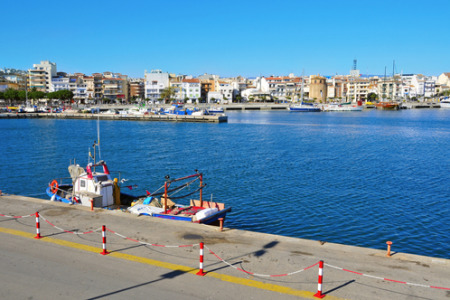 Cambrils has a range of recreational activities and there are several tourist attractions in the vicinity. The most popular is the Port Aventura theme park offering excitement for all ages. Search our huge choice of holidays today. If a Cambrils holiday appeals, but the thought of trawling through web page after web page looking for the best deal a little off-putting, try our simple search facility. You'll find over three dozen travel companies, including leading brands, competing for your custom. It is simple to use, and remember, competition brings out the best bargains. Our search facility enables you to see, at a glance, the Cambrils holiday that is the cheapest, and the one that offers the best value for money. It couldn't be easier. All you have to do to secure the holiday is make a phone call. As offers change daily, in order to avoid disappointment, you should ring today.